Choosing the Best VPN for BT Infinity can be a minefield. There are literally thousands of VPN providers available now and if you’re finding it hard to make a choice then you’re not alone. 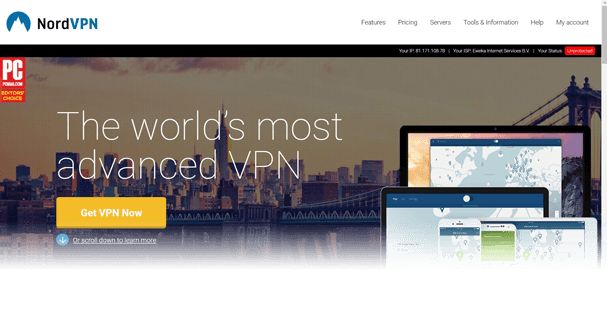 Over the past few weeks I’ve been testing a selection of the most well known VPN services to find out which offers the best VPN service for BT Infinity. There are many that are suitable for use with BT Infinity and the list below is certainly not a comprehensive comparison of them all. These are just the ones that I found to be the most reliable, fastest and offer good value for money for BT Infinity users. So all you need to do is select any of the following five. IPVanish was without a doubt my favourite provider when using with BT Infinity. They won our Editor’s Choice award for 3 years running and offer some of the fastest speeds in the industry so it’s no surprise that they work so well with BT Infinity. There are more than 47 servers available in the UK in 4 different locations with a total of 60 countries across the world and more than 1000 servers. Torrent and P2P use is allowed on the service and with no logs stored it means what you download on your BT Infinity connection remains private. It’s also possible to tunnel out of UK requirements and access websites and services that are usually blocked on BT Infinity such as TPB and Kodi add-ons. If you’re worried about your privacy then the encryption from IPVanish will keep you secure. ExpressVPN offers a no log VPN service that is great for use on BT Infinity. While they don’t offer quite as many simultaneous connections as the competition the 3 that they do offer should be enough for you to protect a range of devices. Software is available for all major systems so no matter if you want to protect a computer, tablet or phone then ExpressVPN has you covered. Accessing geo-blocked content is easy and with 94 countries around the world available nearly every service imaginable is available. They are a little more expensive than others but the larger VPN server selection more than makes up for this. If protecting your privacy while connected to BT Infinity is one of your biggest concerns then NordVPN makes a good choice. They are registered in Panama which has no data log requirements and means what you do while connected remains private. It’s one of few VPN providers that are located in an off-shore location and can help you avoid the requirements of things like the UK Investigatory Powers Bill that forces local ISPS like BT Infinity to store details about your internet usage. Apps are available for Windows, Mac, Android and iOS allowing you to protect your desktop, tablet, phone and many other devices in your home. With 6 simultaneous connections allowed you will be able to protect almost all devices connected to your BT Infinity router and stay secure. Most VPN services won’t let you test them with BT Infinity or in fact any other ISP. 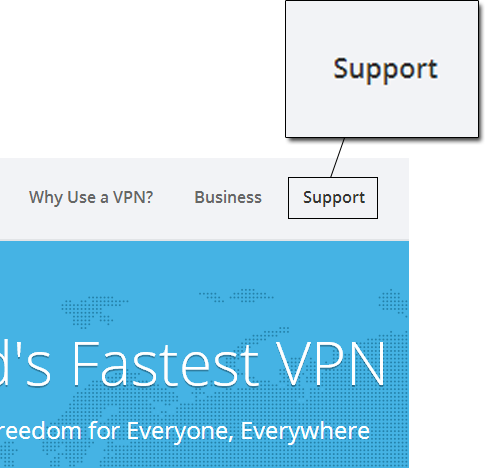 VyprVPN is different and allow you three days to trial their service before you need to pay. You do have to enter your payment details but won’t be charged until the 3-days pass. If you’re a beginner it’s one of the easiest services I’ve used and in just one or two clicks you’ll be connected and secure. The simplicity follows through with their apps and software which have easily understandable interfaces and even if you’re a complete novice you won’t have any problems using the service. The package selection was recently simplified and you now get more service for your money. With such ease of use they make a good choice for use on BT Infinity. 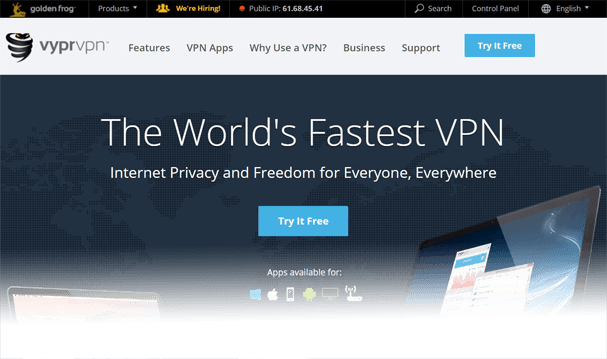 StrongVPN is a great choice if you don’t want to spend too much on a VPN service. While they don’t offer quite the number of servers of either IPVanish or ExpressVPN they are slightly cheaper so if price is a consideration then they will be ideal. StrongVPN doesn’t have so many worldwide servers. However, there are 7 different cities across the UK with VPN servers which when using with BT Infinity will allow you to protect your privacy and get the best possible speeds. The software and apps are easy enough to use if you’re a beginner with enough features if you’re an expert to tinker around with. Simultaneous connections are a little low on the service but the low price reflects this and if you only have a couple of devices to protect then you’re more than covered. Thankfully choosing a VPN for BT Infinity isn’t too hard in itself. The hardest part about choosing a service is trawling through the sea of VPN providers to find ones that offer a good service. The five above definitely make the best choices when searching for a VPN for BT Infinity but let’s consider some of the uses of a VPN below. BT Infinity is not alone when it comes to blocking torrent websites and Kodi streams but when using a VPN service you’ll be able to bypass these blocks and access any torrent site or Kodi service you wish. Simply by tunnelling out of the UK and selecting a VPN server in a different country you’ll have access to services that were previously blocked on your BT Infinity service. If you’ve ever tried to watch a movie or video on a website from another country while connected to your BT Infinity service then you may have found yourself geo-blocked. Geo-blocking is when a service is intended for one country and so blocked in another. A VPN service allows you to bypass these blocks and watch content from around the world all while connected to BT Infinity from the comfort of your home. BT claim they don’t slow down any service such as P2P networks like other ISPs such as Virgin Media. This is great news but the unfortunate fact is you can still suffer slowness when accessing any service. Due to the way the internet works sometimes certain routes can be congested or have issues causing slow connection speeds. The problem might not even be BT themselves but an outside source. A VPN can in some cases allow you to avoid that bottleneck by routing your internet traffic via another direction. IPVanish is certainly my first choice for use with BT Infinity but the other 4 providers also offer equally as good services. You really can’t go wrong, just select one of the five providers above and you’ll have one of the best VPN services for BT Infinity.